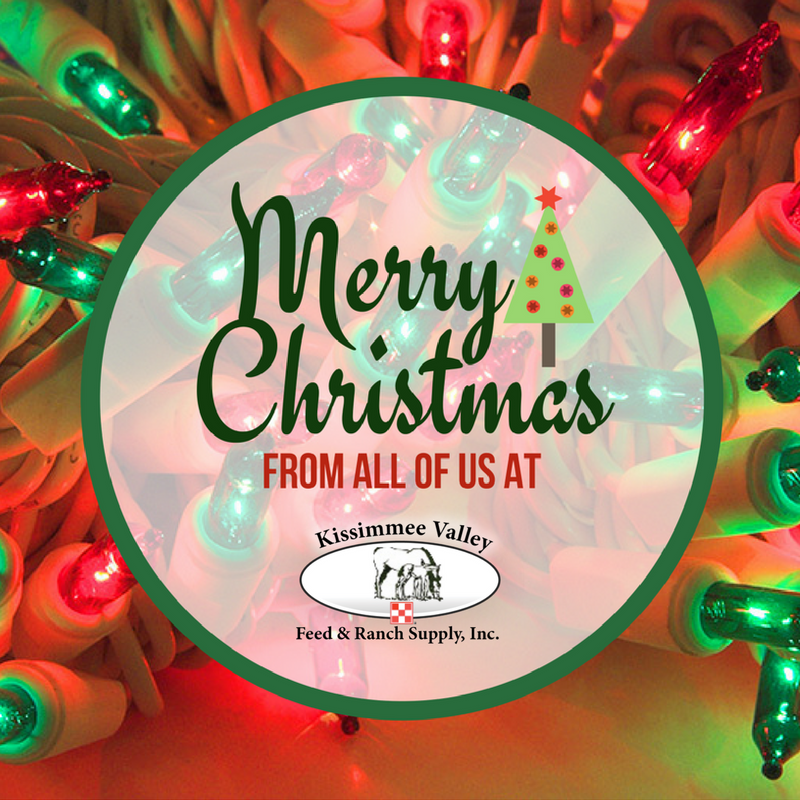 Kissimmee Valley Feed is closed Christmas Day, December 25th so our staff can enjoy the holiday with family and friends. Our store will resume normal business hours on Wednesday, December 26th, 2017. We wish you the blessing of Christmas during this holiday season. Merry Christmas from Kissimmee Valley Feed. This entry was posted on Tuesday, December 4th, 2018 at 8:39 pm	and is filed under Events, News & Updates. You can follow any responses to this entry through the RSS 2.0 feed. You can leave a response, or trackback from your own site.